To be president of the most powerful country in the world is a high calling indeed. The responsibilities are many and weighty, the sacrifices real and substantial. Whomever holds the office is deserving of the respect and honor of a grateful nation for their service. This year we once again have the privilege and duty of selecting one citizen to hold the highest position in the land, one who we hope will work for us, ”We, the people,” and not himself or his party. And though I’ve made my choice between the two candidates, I’ve found myself longing for the time when I would have seen another name on the ballot….George W.
Now, before you send me out into cyberspace because you don’t like former President Bush, know that, even though I do like Dubbya, I’m referring to our first president, George Washington. By all accounts, he was a man among men, one who demonstrated the heights of virtue and depths of fortitude possible when a man or woman sincerely resolves to follow after God, and integrates faith with life. He understood that a good leader must be a servant, and worked tirelessly and humbly to advance the cause of freedom and grow the new country that he helped establish. He had no personal ambitions for power, wealth, or honor. Just a sincere love of God and country that drove him to serve for as long as he was needed. How pained indeed would George Washington be to see how forgetful we have become. Whereas in the early days of our nation the God of the Bible was publicly and unashamedly acknowledged and thanked from all branches of government, these days the ACLU and the Freedom From Religion Foundation, among others, have so distorted the meaning and intent of the First Amendment with their lawsuits and threats as to make the mere mention of God from a government entity a risky proposition. But more importantly, many if not most Americans today are operating from a different worldview than our ancestors had, one that, if it includes God at all, sees Him as a mere bit player on the world stage, instead of the very reason for its existence and continuance. 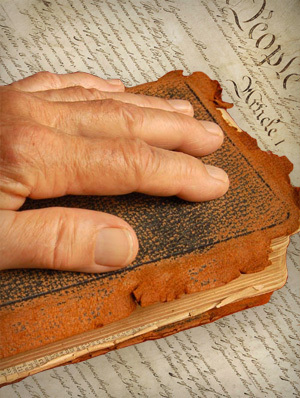 The framers of our Constitution never intended to take God out of government. But that’s a topic for a separate post. Today I want to salute and thank the father of our country, George Washington, for his faithfulness in submitting his will to the will of “that great and glorious Being, who is the beneficent Author of all the good that was, that is, or that will be,” as he identified Him in a National Day of Thanksgiving Proclamation on October 3, 1789. And to implore the Father of all who believe to be merciful on these United States of America and once again raise up men and women with the faith and courage to serve Him in serving our country.